The Kids Avenue Urban low shelf unit is made from Scandinavian pine with a white and natural birch finish. 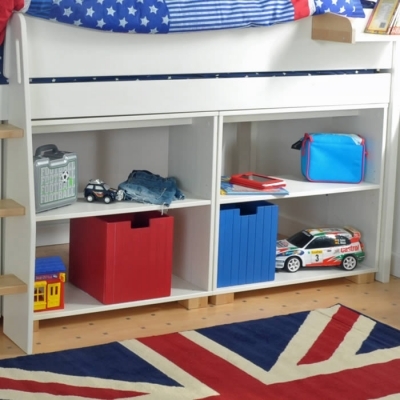 Perfect for use with the Urban bed ranges or as a free standing low bookcase with one centre shelf. The Urban low shelving unit has four chunky birch feet for stability.